The 2 body parts that make forefoot running more economical than heel strike running are the elastic contributions of the arch of the foot and the Achilles tendon. The arch and Achilles tendon are integral in good running economy. 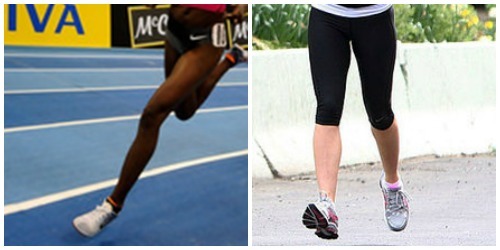 Forefoot strike (left); heel strike (right). There are 3 mechanisms in forefoot running that robustly allows more energy storage in the Achilles tendon: increased plantarflexion at touchdown, knee flexion at touchdown and the lowering of the heel at the end of the touchdown phase. 1. Increased Plantar Flexion. According to Perl et al. the Achilles tendon stores more energy in forefoot running because the tendon stretches more via ankle plantarflexion at touchdown. 2. Knee Flexion. The researchers posit that forefoot runners exhibit greater knee flexion than heel strikers at touchdown. Increased knee flexion ‘slackens’ the Achilles tendon during the first half of stance, increasing elastic energy storage within the tendon. 3. Heel Lowering. To initiate stance in forefoot running, the heel lowers to the ground which also stretches the Achilles tendon, allowing more elastic energy storage. The opposite occurs in heel strike running because the heel strikes first while the knee is un-flexed, therefore the Achilles tendon stretches less which elicits less elastic energy storage. In running, the arch is a fundamental component of the mass-spring system. Like the Achilles tendon, the arch too behaves like a spring, storing and releasing elastic energy. In forefoot, greater elastic energy storage is permissible only if the runner runs barefooted or pure minimalist shod. 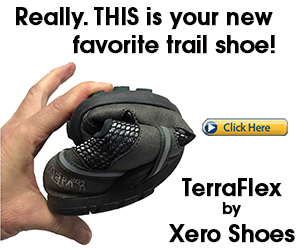 In contrast, one of the biggest problems with the standard running shoe (i.e. 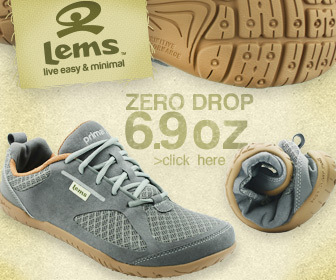 running shoes with arch support) is that the arch is less functionally engaged. 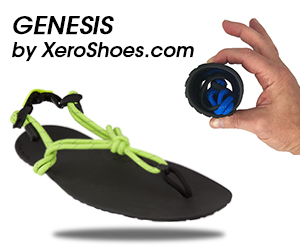 Researchers have found that arch support causes poor vertical arch compression during stance. It’s hard for the arch to perform it’s natural function of recovering up to 17% of the mechanical energy generated per step when it’s interrupted by arch support built-in to a running shoe. The arch and Achilles are extremely valuable resources of elastic energy in running, however the findings suggest that heel strike running limits the amount of stretch and recoil of these structures. Additionally, stretching and recoiling cannot be facilitated by the standard running shoe due to the external arch support. When it comes to optimizing energetics in running, the best medicine is of course, forefoot running. But minimalist footwear must be worn to allow the heel to wind down to the ground as well as to force the arch to rise and lower. Collectively, forefoot running in minimalist footwear boosts foot strength, allowing the lower leg to be more resilient in the face of the hardest of training sessions. Avoid Heel Striking – Understand that the heel weren’t made for running! Forefoot Runners Spend Less on Shoes – Less impact in forefoot running prevents running shoes from deteriorating quickly like they do in heel strike running. Heel Injury – Learn why your heel either burns or hurts when you run. Forefoot Running Injuries – Find out the main injuries related to transitioning to forefoot running. Forefoot Running Shoe Examples – Read my reviews on the top minimalist running shoes for forefoot runners. Bishop M, Fiolkowski P, Conrad B, Brunt D, Horodyski M. Athletic footwear, leg stiffness, and running kinematics. J Athl Train. 2006;41:387–92. Ker RF, Bennett MB, Bibby SR. Kester RC, Alexander RM. The spring of the arch of the human foot. Nature. 1987;325:147–9. Lieberman DE, Venkadesan M, Werbel WA, et al. Foot strike patterns and collision forces in habitually barefoot versus shod runners. Nature. 2010;463:531–5. Nigg B. Biomechanics of Running Shoes. Champaign (IL): Human Kinetics. 1986;p. 180.